The winter solstice is the longest night and shortest day of the year, this year falling on Sunday December 21st. The Earth’s axis tilts the furthest away from the sun at 23-and-a-half degrees, giving all locations north of the equator less than 12 hours of daylight. This pivotal moment in the calendar has been marked by mankind for centuries and is often celebrated as ‘Yule’. Unlike some other gardens, which revert to shades of brown, sand and olive through winter, our coastal garden becomes increasingly bright and green as the shortest day approaches. Friends often comment that it’s impossible to tell it’s winter at The Watch House, the only clue being the naked framework of our fig tree. They are being kind of course, and the slightest frost will soon reduce many plants to slimy ectoplasm. Just occasionally we get away with it and sail through the winter solstice unscathed. 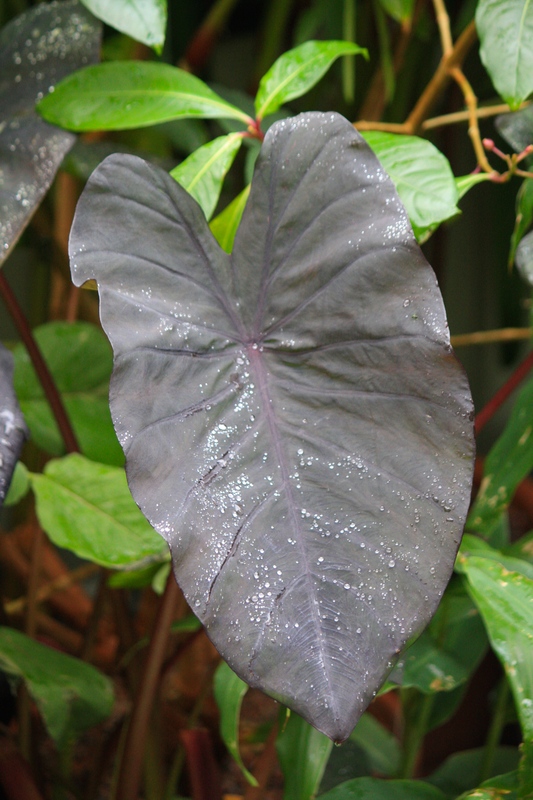 I am not counting my chickens, but so far even tender Begonia luxurians and Colocasia ‘Black Magic’ have escaped any harm. Practically, a mild December helps immensely with the winter ‘shut down’, giving me time to get each plant under cover, although the longer I drag this task out, the longer my pots of bulbs have to wait in the wings. Spring flowering Tropaeolum tricolor is already 3ft tall and there are hundreds of crocuses emerging from beneath their blanket of grit. Several plants put on a massive growth spurt at the end of the year. 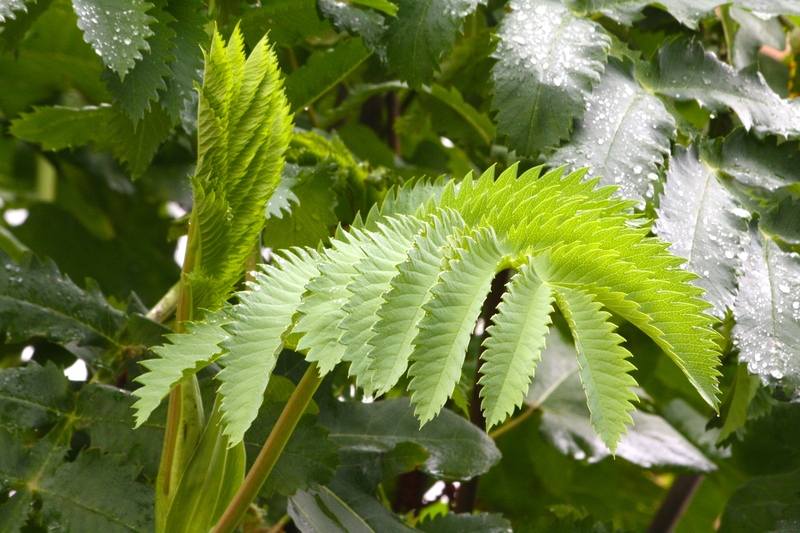 Most notable is Melianthus major which, supported by a framework of fig branches, is approaching 10ft tall. 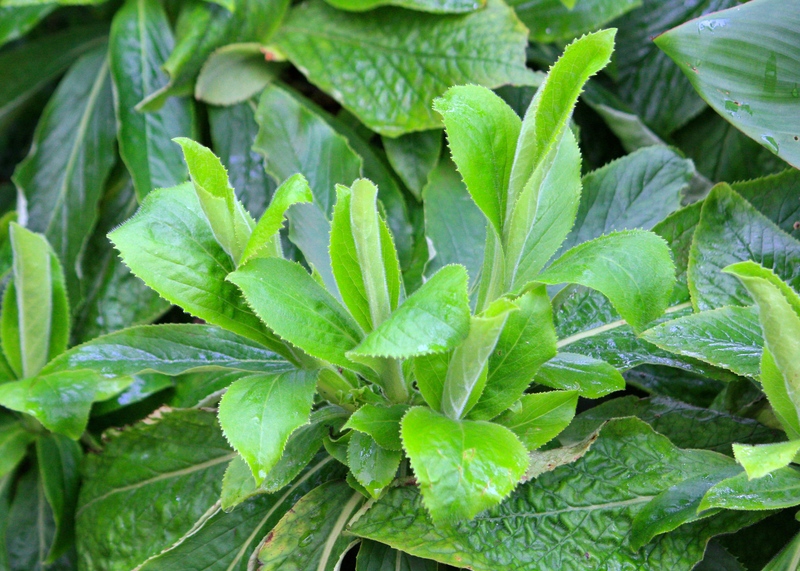 By December the silver-grey, aggressively-toothed leaves are huge and luscious, and will soon part to reveal tall burgundy-red flower spikes. My Australian friend Helen bought me some marvellous plant tie made from stretchy jersey, which is absolutely brilliant for securing the melianthus’ unwieldy, hollow stems. Staking against unforgiving gales is so important at this time of year. 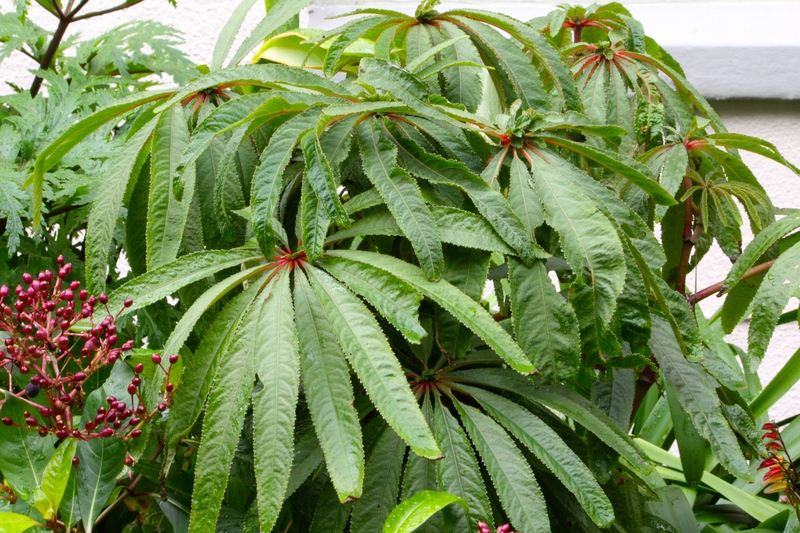 Beneath the melianthus, languishing in rather too much shade, is Beschorneria yuccoides, again in fine health but alas not flowering in the last five years. No matter, the striated, glaucous leaves are a pleasure to look at year round, provided they can be kept out of the rasping mouths of snails. However harsh the winter, beschornerias are rarely killed off by cold provided they are given really sharp drainage. Access to our front door is currently restricted by two enormous, self-seeded Geranium maderense. I will gladly suffer this hardship for the chance to witness their atomic clouds of magenta blossoms in April – an event that hasn’t occurred in our garden for about five years. 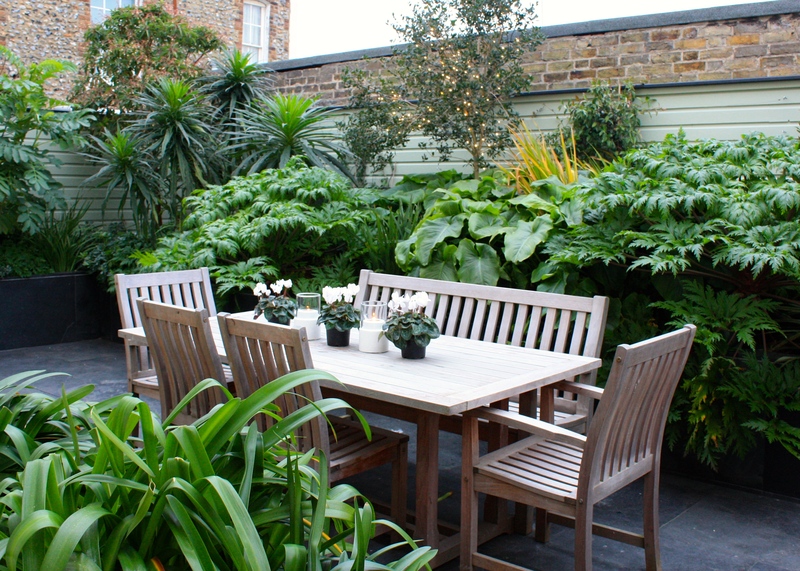 Both plants are self seeded – one in a planter and the other in a crack in the paving – and each measures in excess of 5ft across. As neither can be moved they are completely at the mercy of the elements, which I hope will be kind and permit us an outstanding spring display. I am also keeping an eye on a smaller seedling of G. maderense ‘Guernsey White’, which I have never succeeded in coaxing into flower in Broadstairs. Perhaps 2015 will be my year? All that’s required to keep Agapanthus africanus in fine fettle is a weekly ‘tug’ of any yellowing leaves. 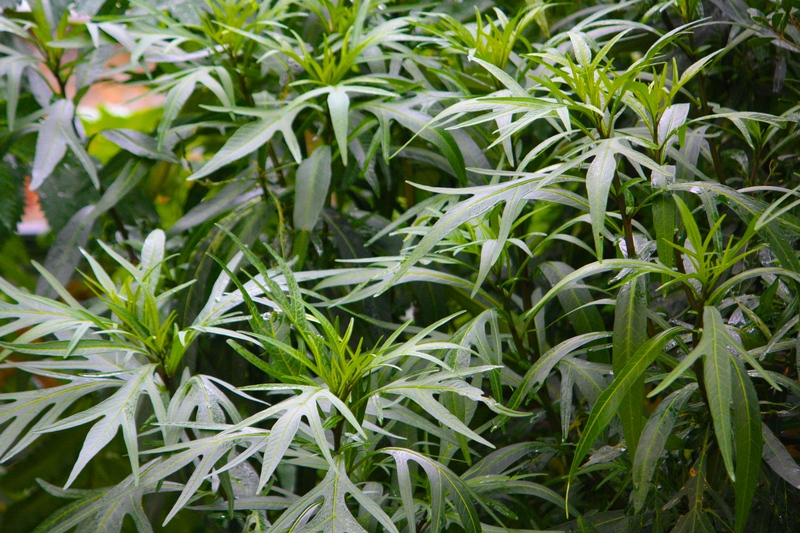 They come away satisfyingly from the base of the plant when given a firm pull. Routine maintenance deters snails and other diseases that can afflict agapanthus. In eight years Agapanthus africanus has never lost its foliage in winter, although show and ice has caused damaged on occasion. A plant which always looks splendid in winter and which is so much hardier than one might think is Digitalis sceptrum. This umbrella-shaped shrub saves its energy until October when it begins to produce rosettes of new leaves the colour and texture of a Romaine lettuce. I can only guess that back home in the Canary Islands the weather is cooler and wetter in winter, so this is its natural time for growth. You won’t find Digitalis sceptrum at your local garden centre (in fact only 2 nurseries in the UK list it) but it’s worth tracking down as it’s endangered in the wild and needs protection in cultivation. Just 30 minutes in our coastal garden yesterday was enough to finish me off (I am not quite back to full strength yet) but a good tidy is needed in London too. I’ll be out there on Boxing Day, clearing hellebore foliage and fallen leaves. It will be sooner if the mother-in-law gets too much. In the meantime, I wish you a very Happy Yule and, remember, the days start getting longer again from Monday! Will you be in the garden over Christmas? What jobs do you have planned? Do you have anything looking especially good in the garden this Yule? I love all your foliage. Everything so healthy and full of vigour and here we are in December. The Digitalis sceptrum is gorgeous and looks just like an Isoplexis. Is it related? 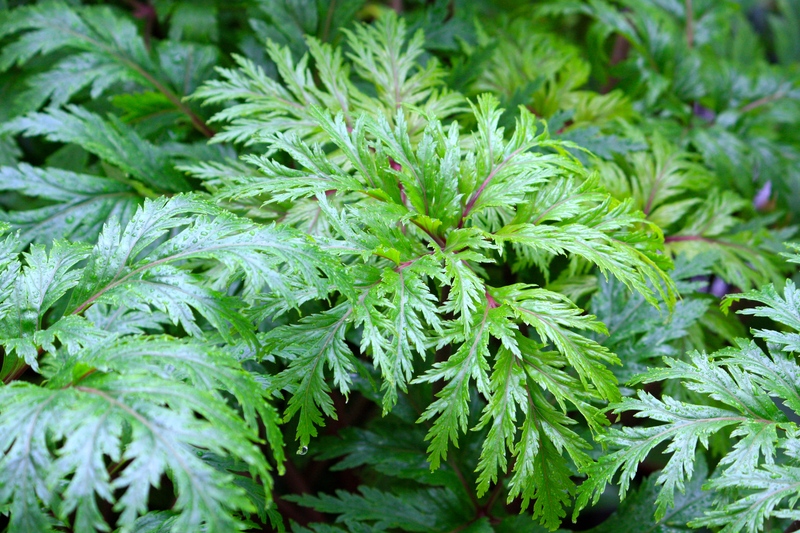 I have tried the wonderful Geranium maderense but it always succombs to frost in my garden. Regrettably plants of the genus Isoplexis were deemed to be the same as Digitalis and Isoplexis is no more. Hence you are right, it is an Isoplexis and beautiful by any name. Your court yards is so fresh and green…I can imagine sitting there sipping wine and enjoying a quiet reprieve from the holiday rush! I hope your garden makes it over the solstice threshold. The phacelia self-seeded in my garden so now I have pleasing ferns dotted about the place. A few rosebuds are on the verge of blooming as well, so I’m keeping my fingers crossed for a showing later in the week. I haven’t got much to do in the garden, which is actually a shame, though there is no mother in law to get away from. Instead, I will be busy indoors for a change.